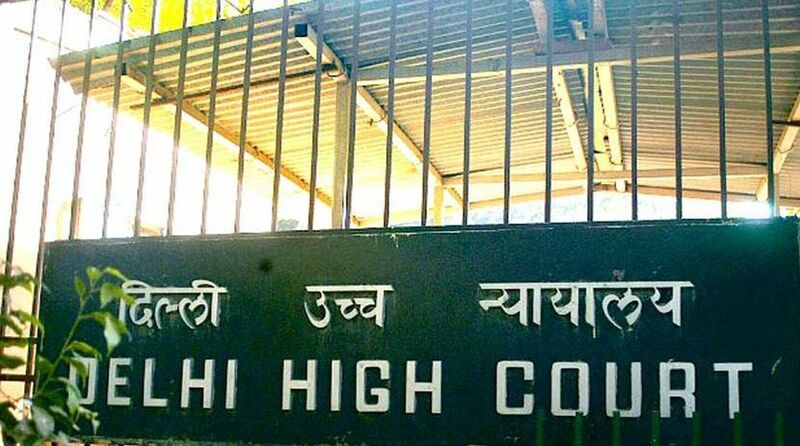 The Delhi High Court has allowed the National Buildings Construction Corporation (NBCC) to approach the Tree Officer of Delhi for seeking permission for felling trees to redevelop residential projects in six colonies of the national capital. The court also stated that further steps regarding the tree felling will be taken as per the decision of the statutory authorities. A bench of Chief Justice Rajendra Menon and Justice V. Kameswar Rao in its order pronounced last Wednesday asked the NBCC to apply afresh for environmental and other clearances and said they could go ahead with the redevelopment of residential projects in six south Delhi colonies. “NBCC shall also be at liberty to approach the Tree Officer (GNCTD), if required as per revised proposal for tree felling permissions. Further action/ steps shall be taken by NBCC as per the decision of the statutory authorities,” the court said in its detailed order released on Tuesday. The court order came on a submission made by the Ministry of Housing and Urban Affairs which has reviewed the proposals of the six General Pool Residential Accommodation (GPRA) colonies. “NBCC should be permitted to approach appropriate statutory authorities for necessary approvals of the revised proposals, which shall be considered by the said authorities in accordance with law,” the Ministry has said. The Ministry told the court that it has reapplied their mind and reviewed the proposal of six GPRA colonies from every aspect, which resulted in the changes in the layout plan, reduction in dwelling units, transplantation of trees, compensatory transplantation, traffic impact assessment, rain water harvesting, sewage treatment plants, etc. The court was informed of the revised plan to avoid cutting of trees to the maximum extent, transplant of the affected trees within the site or in the vicinity and compensatory plantation to maintain the green cover of the area. The court was also apprised of the plan to plant over one million trees in different parts of Delhi during the monsoon season. The NBCC, Delhi Development Authority (DDA), Central Public Works Department (CPWD) and the Delhi Metro Rail Corporation (DMRC) have already planted 5,91,000, 26,047, 51,851 and 18,000, respectively, totalling to 6,86,898 plants and more plantation is still going on, the civic agencies had told the court. The plan also mentioned installation of dedicated recycle plants for plastic and paper waste. In case of excess demand, waste compactors will be installed at dedicated locations. Further, the pollution created by transportation of these wastes shall be eliminated. A systematic waste management system, with stipulated techniques for efficient management will be introduced to create a zero-discharge system. The bench was also informed about the strategy like road restructuring for enhanced road experience, connectivity and integration of public transportation nodes, civil infrastructure, expansion and restructuring of the existing network, and adequate pathways for the safety of pedestrian and cyclist. The Ministry of Housing and Urban Affairs had requested the court to grant them the permission to proceed with seven GPRA projects, including these six, as per the revised plan. However, the court has not granted permission to carry out construction work in Nauroji Nagar residential project and listed the matter on Nauroji Nagar residential project for November 28 for further hearing. The court has been hearing a plea filed by orthopaedic surgeon Kaushal Kant Mishra, who has sought the setting aside of the terms of reference and environmental clearances granted to the project by the Environment Ministry, saying it would lead to felling of over 16,500 trees. All these areas are home to government employees where the Central government is pulling down houses built in the 1950s and replacing them with high-rise buildings. The court was also hearing a contempt plea filed by environmentalist Vimlendu Jha, who alleged that there was “deliberate and wilful default” vis-a-vis June 25 undertaking given to the court by the NBCC. Besides the NBCC, the Central Public Works Department is also executing the project.